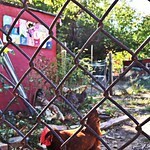 Hidden Harvest Farm is a community garden grown on a half-acre lot in the center of Baltimore. They sell their produce on the collective Farm Alliance table at the Waverly Farmers Market and will have a farm stand on the Calvert Street side of the farm on Tuesdays from 4:30 PM - 6:30 PM starting in June. 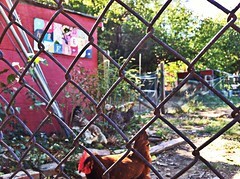 Member of the Farm Alliance, a network of urban farms dedicated to improving the viability of farming in Baltimore City and increasing access to healthy, city-grown foods.